Melt the butter in a heavy saucepan. Add the flour and cook to make a blond roux. Simmer and reduce to 1 gallon (4 liters), approximately 30 minutes. 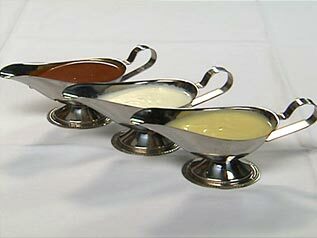 Melted butter may be carefully ladled over the surface of the sauce to prevent a skin from forming. Hold for service or cool in a water bath.